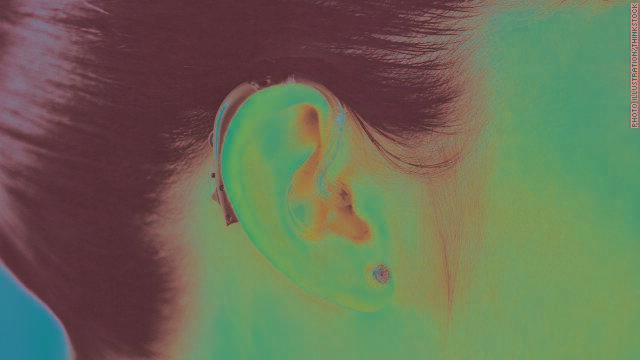 Could stem cell treatments one day replace hearing aids? Research is still preliminary. About 37 million Americans have some level of hearing problem, and science hasn't come up with a perfect solution to restore this valuable sense. Help may be on the way, at least in theory. A team of researchers reports in the journal Nature that they have used embryonic stem cells to restore some hearing in impaired gerbils. But more investigation is necessary before the technology can move to humans. Everyone has two main sensory cell types associated with hearing: the hair cell and the auditory neuron. Hair cells take sound and make it into an electrical signal. Neurons pick up the signal and transfer it to the brain, so you know what you're hearing. Most deafness is caused by a problem in one or both of these cells, said Marcelo Rivolta, senior author of the study and stem cell biologist at the University of Sheffield, United Kingdom. The cells are usually created during the embryonic stage of development. 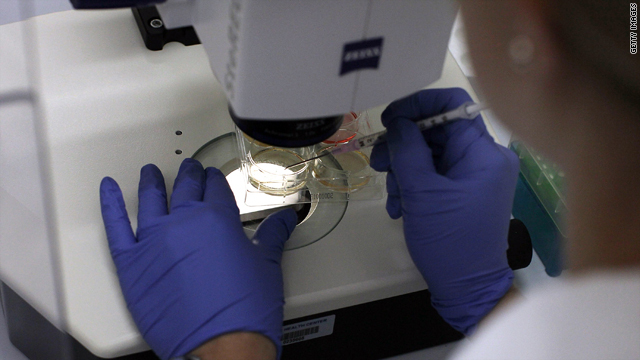 A patient's own heart cells can be used to regrow new heart tissue and help undo damage caused by a heart attack, according to early research published on Monday. 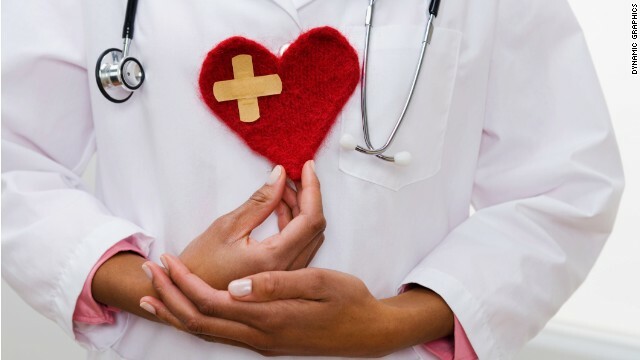 Scientists at Cedars-Sinai Medical Center in Los Angeles and Johns Hopkins University in Baltimore were able to treat 17 heart attack patients with cells grown from their own heart tissue. Not only did this show that the procedure was safe, it also showed that the cells can help reduce scarring and even cause new heart muscle to grow. When a person suffers a heart attack, he or she is often left with huge areas of scarring in the heart. Scarred heart muscle doesn't pump blood as well as it used to, putting stress on other parts of the heart to make up for the deficit. The damaged area also doesn't conduct electric current as well, leading to an abnormal heart rhythm, which can cause more problems. Heart attack patients often go on to develop heart failure. 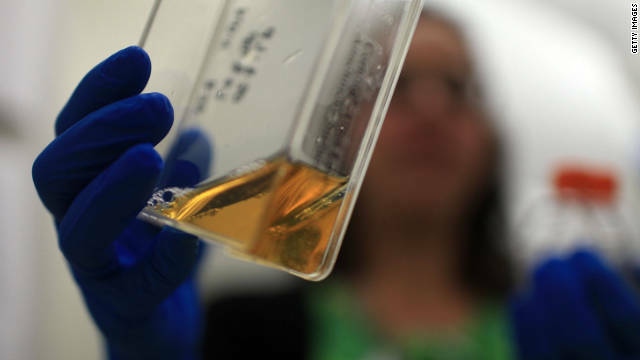 A researcher holds up a container with stem cells at the University of Connecticut's Stem Cell Institute in 2010. It appears that the economy, not controversy, is shutting down the first clinical trial to use cells derived from human embryonic stem cells in humans. Due to the "current environment of capital scarcity and uncertain economic conditions," Geron CEO Dr. John Scarlett said his company will be focusing on developing cancer treatments instead. In January 2009, after many years of research, Geron became the first company to get FDA approval for human trials using cells grown from human embryonic stem cells. The the FDA asked for more research, which led to final approval in July of last year. 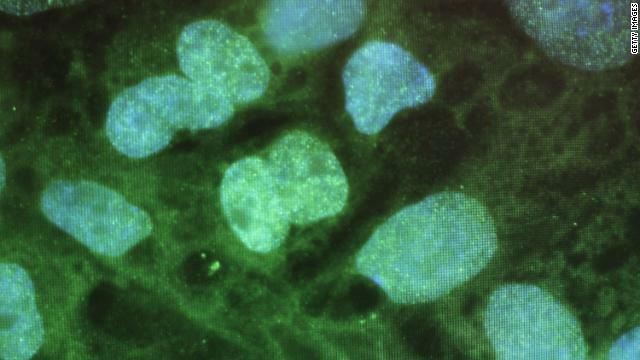 Three months later, a 21-year-old nursing student from Alabama became the first human to be injected with these cells. The purpose of this trial was to determine safety. 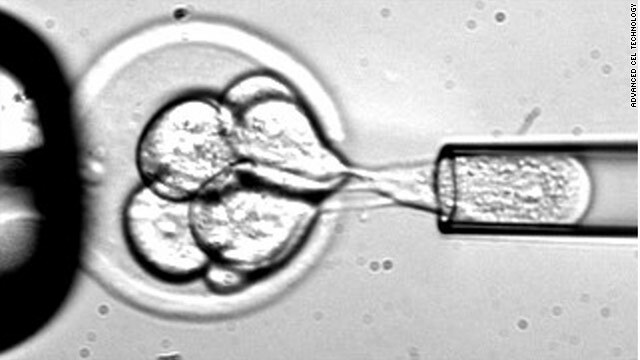 Embryonic stem cells have the ability to turn into any type of cell. Cells that had been coaxed into becoming nerves cells were injected into patients who had just suffered a spinal cord injury that paralyzed them from the chest on down. Patients had to receive these injections within two weeks of being paralyzed. For only the second time in history, the Food and Drug Administration has approved human trial of a therapy developed from embryonic stem cells. 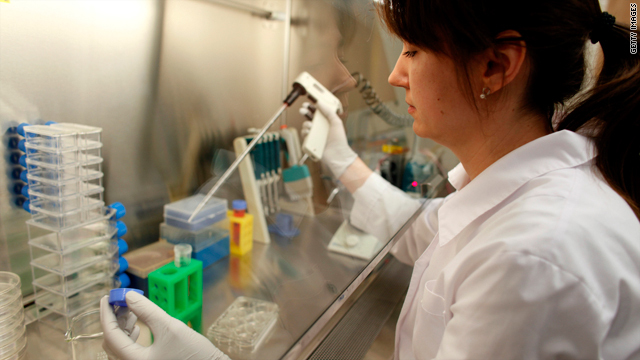 William Caldwell, CEO of Massachusetts-based Advanced Cell Technology (ACT), tells CNN that 366 days after filing the application, the FDA granted approval for his company to start a clinical trial using cells grown from human embryonic stem cells. The treatment will be for an inherited degenerative eye disease. "Were still absorbing the fact that we finally got the approval" says Caldwell. "The real work lies ahead." Getting the trial going is the next big step, says Caldwell. He hopes the first patients can be enrolled by the first quarter of the next year.